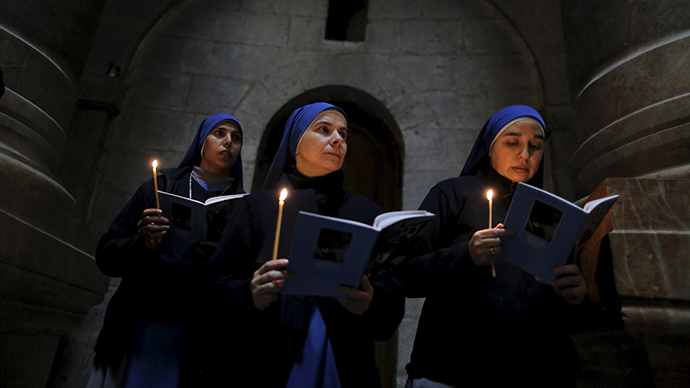 The number of women becoming nuns has trebled in the last five years as more and more opt for a religious lifestyle. Last year 45 women became nuns, compared to just 7 in 2004. The Catholic Church said that of these, 14 were 30 years old or younger. “In a really obvious sense, the women feel a religious calling to do so. On a more sociological level, these are women who have lived in the world and who find themselves in their late 20s, 30s or 40s making a conscious and hard choice to enter religious life,” lecturer in Catholic Studies at Durham University Anna Rowlands told the Guardian. Novice nun Theodora Hawksley, 29, left her academic studies to join a religious order, telling the paper, “I was drawn to it by wanting a greater freedom in being able to give myself to God and the world. She also said the idea of being stuck in a religious habit forever was wrong and that her order tended to dress down – even wearing jeans and T-shirts. The rise in popularity of nunnery contrasts with the findings of recent studies which indicate the UK is becoming less religious. Earlier this month Win/Gallup International polling suggested more than 50 percent of Britons do not believe in any religion, 13 percent were committed atheists and the rest were unsure how to define their beliefs. “Religion continues to dominate our everyday lives and we see that the total number of people who consider themselves to be religious is actually relatively high,” Win/Gallup International President Jean-Marc Leger told the Guardian.